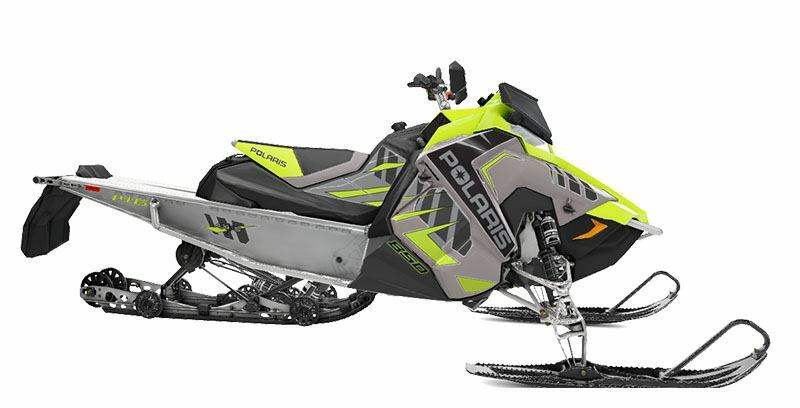 The SnowCheck-Exclusive 850 SKS 146 - powered by the all-new Polaris® 850 Patriot™ engine - is for riders looking for the ultimate deep snow crossover sled. POWDERTRAC® HYBRID RUNNING BOARDS: The PowderTrac® Hybrid Running Boards offer optimized design with 56% open space for maximum snow clean out while maintaining extreme strength. 15 X 146 X 2.25" SERIES 2.5 TRACK: Delivers outstanding traction both on- and off-trail with excellent durability. 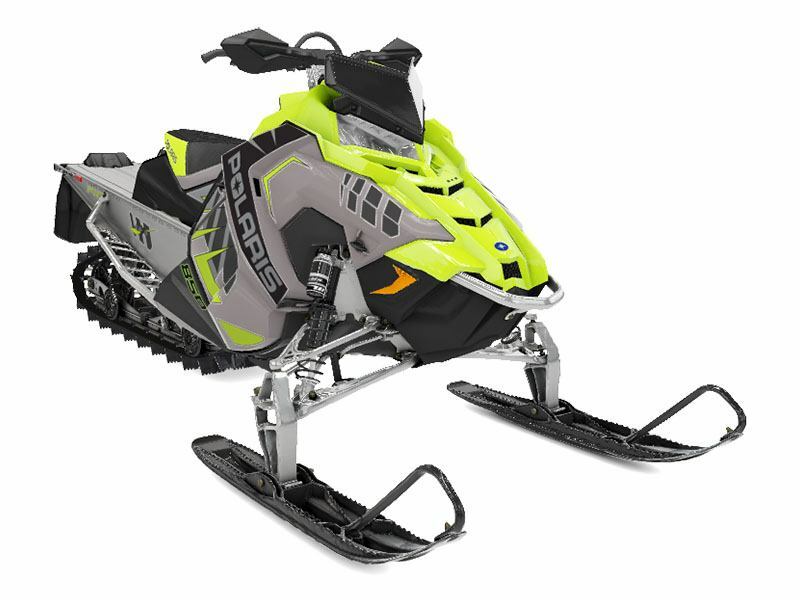 IGX REAR SUSPENSION: The IGX - Ideal Geometry Xover - Rear Suspension delivers a smooth ride and outstanding hauling on all terrain and in all snow depths and conditions. It's designed for minimal bottoming and drag off-trail. CHAINCASE DRIVE SYSTEM: The SKS 146 uses the tried and true Polaris® chaincase drive system to deliver the perfect combination of strength and performance in all snow and riding conditions. WALKER EVANS® SHOCKS: The Walker Evans® Compression Adjustable Piggyback Shocks are more tune-able and allow you to adjust compression to suit your riding styles and the day's condition. FORGED, ALUMINUM A-ARMS: The efficient one-piece design reduces weight and improves optimal strength, suspension performance, and sled handling. The design reduces unspring mass, resulting in improved ride quality and increased maneuverability. 146 x 15 x 2.25 in.